With all those huge blockbusters around that are loud and rely on expensive special effects, The Levelling stands out. This is a film that uses silence even more powerful than deafening you with noise and not a computer generated image can be found. Instead, we have a gut-wrenching, beautifully subtle and stunning debut from a writer-director who certainly needs to be watched from now on. 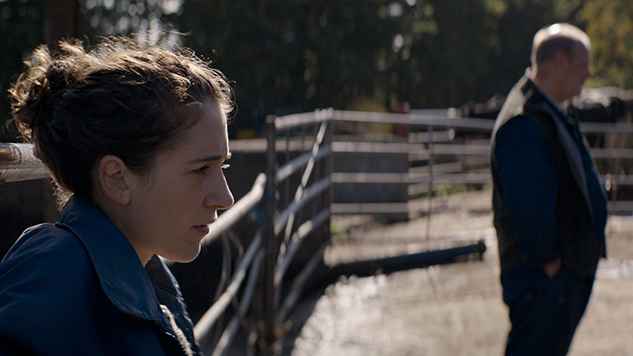 Clover is a young vet who returns to her family’s farm, which had been devastated by floods, when her brother, Harry, dies. She finds her father, Aubrey, living in a caravan, and a shadow of his former self, the farm in disarray and on the verge of collapse while she has to cope with grief. as well as trying to understand exactly what happened to Harry. Was it an accident or did he commit suicide? As she digs deeper, her relationship between herself and her father becomes perilous. Don’t go into this movie expecting bundles of laughs. You won’t find any. What you will find is a beautifully sculptured piece of art that deals with grief in a subtle yet heartbreaking way, all the while mesmerizing you with its visuals and the terrific use of sound or lack of it in places. Writer and director Hope Dickson Leach tackle the subject matter with kindness. She refuses to give us sensationalism or bombard us with a soundtrack that signposts how we should emote. You won’t find a single wailing violin here. What she does do is produce a character study of two people coping with the pain and anguish that death brings, focusing on Clover, the girl whose relationship with her father was always very delicate before her brother’s passing. With the backdrop of the floods that devastated Somerset in 2014, Dickson Leach and cinematographer Nanu Segal capture the bleakness of the farm and manage to intersperse it with the wonderment of nature and the possibility of hope among the bleakness. A scene in which Clover silently walks through a path of blossom is stunning, while shots of flocking birds become almost hypnotic with a beautiful dance of their own. Yet at the heart of a girl coping with sadness and pain, trying to keep strong for her father, who is crumbling in front of her and refusing to tell her exactly what happened. Their fragmented relationship getting worse,, just as devastated as the land they have to share. This is a film made from two performances and they don’t come any more perfect. 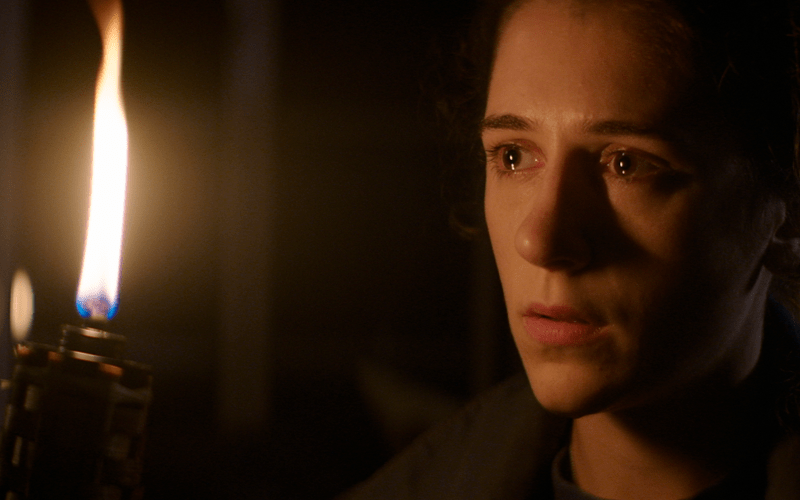 Ellie Kendrick from Game of Thrones absolutely shines as Clover, a woman having to juggle her own emotions while desperately trying to understand what happened and keeping the farm alive. This is a career-making performance expertly delivered. You feel every inch of her pain. Every inch of her confusion. It is masterful. 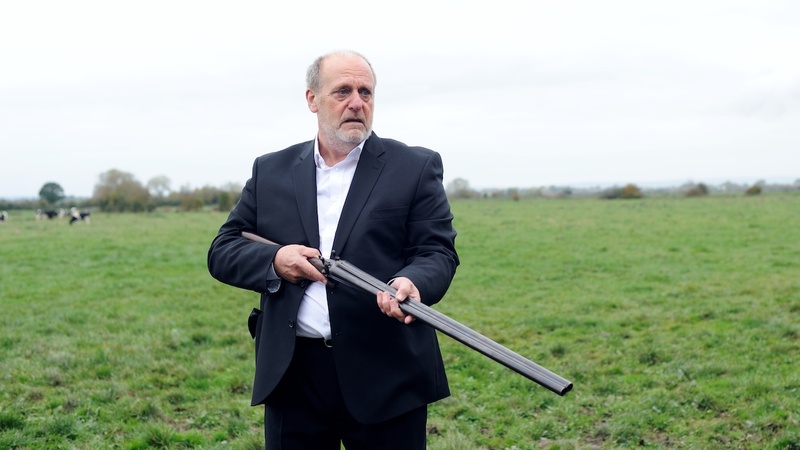 Opposite her is David Troughton as her grieving father, a man who once was strong and passionate but now has lost hope and is slowly losing his mind. Again, like Kendrick, Troughton pulls you into his world and though you are never sure where it is going, by the end your emotions will be in tatters. 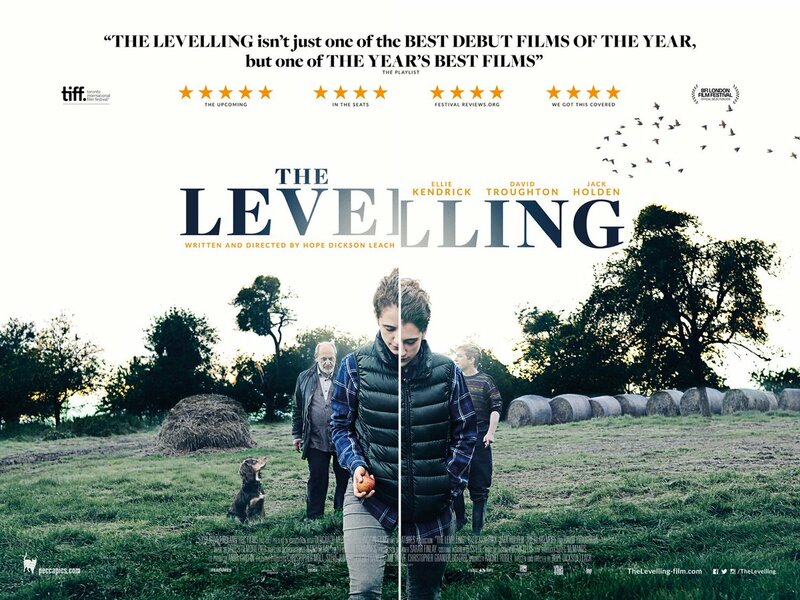 The Levelling is a superb debut from a filmmaker with loads of potential and promise and with two outstanding performances and an altogether magnificent look and feel, this is a film that will stay long in the memory. Well worth tracking down. Just be prepared to be pulled through the wringer. Superb.